Unique parcel takes in a variety of terrain and vegetation, from the level meadow area perched just above Hayfork Creek, to the lightly wooded area at the base of the hill, to the forested mountainside - there's a little bit of everything here! 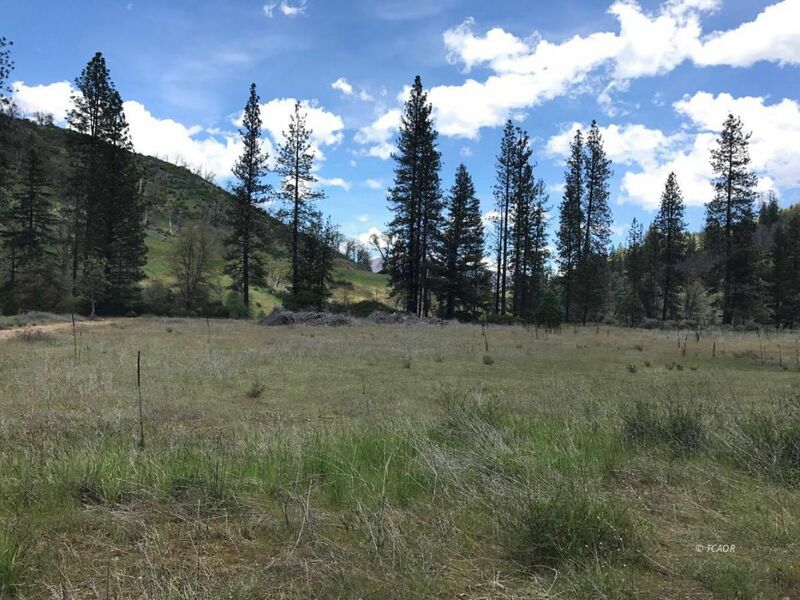 Driveway is established, and a building pad is in place in a private setting with a storage shed and water tank for short-term stays while you continue development of the property to include drilling a well and installing a septic tank; TPUD power available with the lowest rates in CA! Developed garden area with raised beds already in place. The main gate off the of highway stays locked with access for residents only, and this property has it's own locked gate as well. Backs up to USFS land for additional room to roam and enjoy the outdoors. Property is zoned AG, with a general plan use designation of AG also (per county records) - perhaps the building pad could be a start to your cannabis business with this one? Swoop this one up quick, spring has sprung!